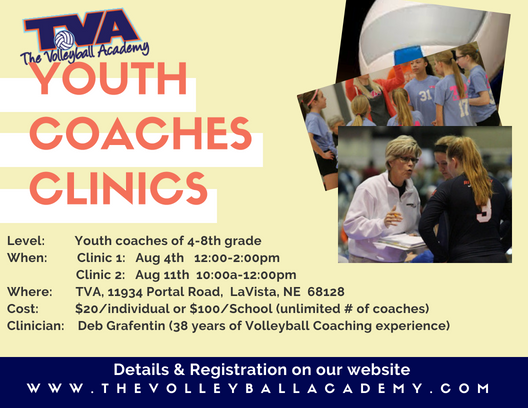 Join us for the 1st clinics of the volleyball season hosted by coaching veteran Deb Grafentin. Deb has coached college, high school, and club over the past 38 years. She has been selected as one of the top 75 coaches in the country in youth sports as a PCA Double Goal Coach twice…in 2015 and 2017.